We were asked to build this website while the winery was under construction. That was a year ago and the winery is still under construction. 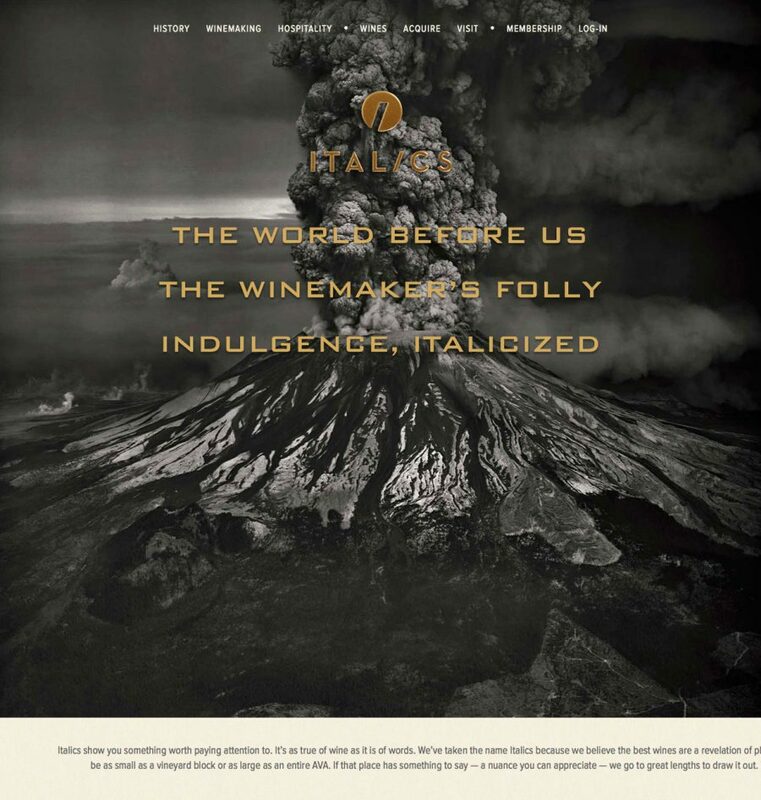 Good thing we pushed the client not to put up a temporary, half-baked site but rather to use this assignment as a way to envision what the winery might actually become. With nothing to point the camera at – no tasting room, torn-up vineyards, half-finished caves – we decided instead to tell “stories.” Each story presents the winery in microcosm. Through its History, Hospitality and Winemaking, we learn about the winery’s values and offerings. One day, when the property is completely built out, this website will come down and be replaced by something more typical, more literal. Let’s hope it retains its personality.